Your Family, Agile, and You: What does a Scrum master do, when the Scrum framework isn’t software development? What does a Scrum master do, when the Scrum framework isn’t software development? We already know that we can apply Agile anywhere. Agile is an attitude, a mindset. What about Scrum? 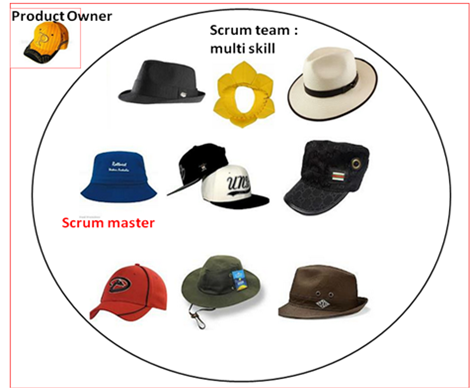 Let’s see how we can adapt the Scrum master role to the most common ground of Agile for non software development. Remember the Scrum team? First of all , “Scrum master” is just one of the roles. Usually, he is a member of the team, but he can also be an outsider. This role is so unique that you need to get used to it. 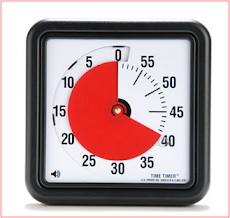 Everything the Scrum master does should lead to facilitate increasing productivity. This is the tricky bit. The Scrum master should lead the team members towards completing their goals and increase productivity without the managerial titles and default authority a manager holds. The Scrum master is NOT the team secretary. He is NOT supposed to set meetings, fix tools and maintain the team tasks, board and backlog. NO! He is expected to make sure these are done by the team. He needs to be there to make sure the Agile mindset is applied, and to facilitate the process in the way to increase productivity. Drive the team toward Effective and efficient delivery. The team has improved in its efficiency of delivery. 1. The team – Removes impediments, facilitates the process, facilitates empowerment, leads toward goals completion. 2. Other teams’ Scrum masters – communicates with other teams’ Scrum masters to facilitate the process and increase productivity and efficiency of process. 3. The Product Owner –helping the Product Owner maximize productivity. It may include helping maintain the backlog ,ensuring the Product Owner is informed about the team’s progress and success. 1. Lead the Agile mindset inside the team. This means that the Scrum master needs to understand the Agile framework, understand and follow the Agile values and principles, and most of all, keep them and reflect them to the team and to the team interfaces. 2. Facilitate the Agile framework: daily meeting, planning, retrospective, sprint demo. He is not expected to set all those meeting, but he is expected to make them happen. 3. Facilitate Scrum team impediment removing- the Scrum Master should do everything in his or her power to remove obstacles that are preventing the team from accomplishing its sprint goals, and especially make sure that the team removes blocking issues. 4. Facilitate cross team communication. If needed the Scrum master participates in cross team forums and meeting. 5. Enable , as part of an Agile mindset, communication and close collaboration between team members and team interfaces. Shield the team from external interference. 6. Make sure team progress is visualized to all stakeholders and to the team. 8. Communicate!! Make sure communication is a key. 9. The Scrum Master must make sure teams have the tools and know-how they need to succeed. He should communicate the team requirement to outside decision makers. 10. He needs to understand the stage of a human team development (Bruce Tuckman) – forming –Storming-Norming-Performing and change his leadership style to suit the team stage. This is a hard thing to do !! 11. The best Scrum masters are team players. they needs to be satisfied with other success, with team success and be able to share ideas and responsibilities. They need to be a good communicators, assertive , and with a relatively high emotional intelligence. Personally, I take the Scrum master role more as facilitator than action taker. I prefer balanced empowered environment in which the Scrum master makes sure everything is going on as it should. The Scrum master mindset is one of a servant leader. We often expect managers to be empowering and leaders, which is very difficult to pull off successfully. But believe me, there are more than few employees that can adapt to this role. this webpage, this website is genuinely amazing. Using it while developing your software and bothering how productive it can be is such a support because i have seen it personally and it grows quite sensibly and that is the way for it scrum meeting is a perfect source of making things better through knowing everyone's opinion what they want and how things should be.